Almost twenty months after the 26/11 terrorist attacks in Mumbai, the Pakistan-based Lashkar-e-Taiba (LeT) or the Army of the Pure, which allegedly carried out the horrific guerilla operation, continues to evoke international concerns. The most recent manifestation of the threat emanating from the Lashkar came from Chairman of US Joint Chiefs of Staff Admiral Mike Mullen. Speaking to the media on July 25, 2010 at the Islamabad residence of US Ambassador to Pakistan Anne Patterson, he said: "The United States sees the Lashkar-e-Taiba becoming more lethal by the day and thinks its gradual growth now clearly shows that it has global inspirations to spread terror. I have watched since 2008 the LeT move to the West, getting more active in the region and engaging more with other terrorist groups. It heightens our concern as it is not only confined to the region but has global inspirations". Much has been said and written about the endemic malfeasance of the country's public sector -- the politicians and the civil servants but the media and the civil society has paid little attention to the widespread malpractices and extortion prevailing in the country's vast private sector. In fact, the common people are suffering as much from the greed and avarice of private businessmen as those of dishonest public officials. TEDxLahore had been generating hype through the media for several weeks and drew over a thousand applications from people eager to attend. It culminated in about four hundred chosen ones converging upon Ali Institute, braving the rain to hear some of Pakistan's most inspirational people share their message. Many others joined in the occasion through live streaming and hosting parties both inside and outside the country. Presence of ethnic fault lines, sectarian and religious divide, political rivalries or bad governance -- what ails Karachi? 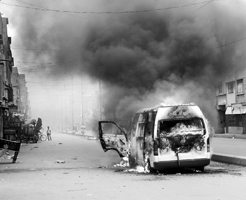 As being feared for the past several months, Karachi has again burst into violence and chaos. The killings of workers of various rival political and religious groups, which gained a fresh momentum over the last two months, finally led to the assassination of a Muttahida Qaumi Movement (MQM) veteran Syed Raza Haider on August 2. The killing triggered a new wave of violence that claimed nearly 80 lives in just three days and left dozens of others wounded. As the investigation into the Airblue Airbus crash proceeds, the major question being debated upon is whether the real cause of the horrible incident will ever be made public. The black box or 'flight data recorder' has been sent abroad for examination, which will take two to three months to find the cause of the crash. "He was lively, soft spoken and loved by all his cousins and friends. He was brilliant, active and very positive in life," sobbed Yasmeen Javed, the mother of the Prime Minister of the Youth Parliament of Pakistan, Hassan Javed Khan. "We wanted to see him grow, get married and have a family. But everything is lost now." Hassan was one of the six members of the Youth Parliament who died in the Margalla Hills plane crash. He was to go to Oxford University this fall and was very excited about getting admitted there. A leader in making, Hassan directly interacted with all the members of the parliament and was described by one as "the glue that kept us all together." Mullen's remarks were followed by almost identical comments made by US special envoy on Afghanistan and Pakistan, Richard Holbrooke: While meeting Indian Premier Manmohan Singh in New Delhi on July 22, 2010, the senior US official said: "Lashkar-e-Toiba is as dangerous as Taliban and al-Qaeda with which it was working in close coordination and that Pakistan has been asked to deny it a foothold in that country. The LeT's goal is to create maximum problems between India and Pakistan besides working against the interests of western countries. Tackling it (LeT) is equal to any other priority in the region." Dreaded for its guerrilla operations in Jammu Kashmir and known for the infamous suicide attack on the Red Fort in New Delhi, the LeT was founded in 1988 in the Kunar province of Afghanistan with the tacit support of Pakistani intelligence establishment. Besides fighting out the Russian occupation forces from Afghanistan, the LeT's other objectives included establishing an Islamic state in South Asia and uniting all Muslim majority regions in countries surrounding Pakistan. The Lashkar happens to be an Ahle Hadith (Wahabi) group which was set up by three Islamic scholars -- Hafiz Mohammad Saeed and Zafar Iqbal Chaudhary, who were professors of Islamic Studies at the University of Engineering & Technology, Lahore, and Dr Abdullah Azzam, the ideologue for the Palestinian militant group, Hamas, as well as the political mentor of Osama bin Laden. But the moving spirit behind the military might of the LeT had always been Zakiur Rehman Lakhvi, the prime accused in the 26/11 Mumbai attacks, who is currently being tried by a Pakistani Anti-Terrorism Court. It was in the aftermath of the December 13, 2001 bloody fidayeen attack on the Indian Parliament building in New Delhi that Musharraf had to launch a crackdown on jehadi groups operating across the LoC from the Pakistani territory, besides banning the Lashkar and several other militant and sectarian organisations. The Pakistani action actually came a few weeks after the US State Department's decision to designate the LeT a foreign terrorist group. The LeT subsequently renamed itself Jamaat-ud-Daawa (JuD) in a bid to separate its military actions in Jammu from its religious undertakings in Pakistan. At a press conference in Lahore on December 24, 2001, Hafiz Mohammad Saeed announced his resignation as the LeT Ameer and appointed a comparatively unknown Maulana Abdul Wahid Kashmiri, as the new Ameer. Since then, however, no one has ever heard of Maulana Abdul Wahid Kashmiri again and Hafiz Saeed is still considered to be the functional Ameer of the LeT. Once focused closely on the conflict in Jammu and Kashmir, international terrorism experts now say the Lashkar is evolving into a global exporter of terror as its extremist leadership has opened its training camps to foreigners. Afghanistan may be off-limits to western Muslims' yearning for jehad, they say, but terrorist training camps still operate in Pakistan and the jehadi crop they produce is proving troublesome for the West. The mere fact that the LeT pursues goals that go beyond India is now acknowledged even by those who were initially skeptical of the LeT's larger ambitions. It was on February 3, 2009, two months after the Mumbai terror attacks, that the outgoing director of the Central Intelligence Agency Michael Hayden had declared that the Lashkar-e-Taiba will be among the top ten security challenges for the CIA in 2009. Some recent international media reports claim that the LeT is expanding its presence in Afghanistan as part of the Pakistani establishment's game plan to confront India beyond Jammu and Kashmir. If a June 16, 2010, news report by the New York Times is to be believed, the LeT is setting up new training camps with a clear motive to strike at Indian and international targets. "The LeT is now active in six to eight provinces in Afghanistan. The LeT's Afghan expansion has prompted suspicions in Washington and among Nato allies that it is part of Pakistani plan to have proxy forces at hand to shape the outcome in Kabul after US troops leave. The LeT has now attacked Indian targets in Afghanistan as well. Though LeT's global presence is now widely acknowledged, the ISI had not previously used the group to target Indian establishments beyond Indian soil," the NYT report added. However, in a disturbing development for the Pakistani military and intelligence establishment, it now appears that the jehadi Frankenstein of the Lashkar-e-Taiba now threatens its own creators. Those investigating the recent spate of suicide attacks in Lahore that killed over 200 people in four such incidents in last two months have unearthed the alleged involvement of the Jamaat-ud-Daawa. A senior doctor of the Jinnah Hospital in Lahore, who is also the president of the JuD's medical wing -- Muslim Medical Mission (MMM) -- has already confessed to playing the role of facilitator in four suicide attacks in Lahore, including the one targeting two mosques of the Ahmedi community in Lahore. Dr Ali Abdullah Chaudhary, who was arrested by the Inter-Services Intelligence on July 9, 2010 in the wake of the July 1, 2010, armed attack on the Jinnah Hospital in Lahore (which was meant to eliminate the injured attacker of the Ahmedi Mosques) has reportedly confessed to being an active member of the JuD and that while pursuing his medical degree at Allama Iqbal Medical College in Lahore, he had received armed training in Azad Kashmir at a training camp of the LeT which was being run by the JuD. He also told his interrogators that he got inspiration from the lectures delivered by Prof Zafar Iqbal Chaudhary, a close aide of Hafiz Mohammad Saeed. In short, the LeT-JuD combine has lately morphed into a jehadi monster that threatens not only India, Afghanistan and the United States but also Pakistan. Schools and hospitals in the private sector are on top of the list as ordinary people are compelled to turn to them because of inadequate and substandard public facilities. For long, Pakistani state has abdicated its responsibility for providing reasonable health and education facilities to the public. The middle-income people spend a substantial portion of their incomes on education and health following the expenditure on food, but no regulatory framework and mechanism exist to protect the common man's interests in these areas. Expensive so-called English-medium or grammar schools have proliferated to extort money from the middle class. The owners of private schools are the neo-feudals of our times. The incomes of the old-time landed gentry are no match to the earnings and influence of the education and health barons. No law or regulatory mechanism exists to oversee the fee structure, quality of services and the salary structures of staff in private schools which, in view of their overwhelming commercial considerations, should be described as school-shops. 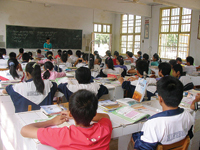 A majority of the private schools are housed in small houses and lack sports and recreational facilities. At present, the up-market private schools charge a monthly fee ranging between 7,000 to 12,000 rupees per month which is more than the minimum wage of a labourer or even double or treble the minimum wage in certain cases. On the other side, these high-fee schools pay meagre salaries to their teachers. The owners hire and fire teachers at will. Demands for a raise in salary are discouraged. These school-shops offer no retirement benefits to their faculty. The same is true for private hospitals whose functioning is scandalous to say the least. High fees of doctors, exorbitant charges for operation theatres and rooms for indoor patients and shortage of sufficient nursing and paramedic staff are common features. A large number of private hospitals are owned by senior doctors or groups of doctors that get salaries from government hospitals, but do their practice in their private hospitals. These money-minded health professionals have intentionally destroyed the public healthcare system to divert patients to their private concerns. There is no regulatory framework to streamline the affairs of private hospitals and inspect their working. In January 2009, the National Assembly Standing Committee on Health had advised the government to make a clear legislation for the regulation of private hospitals in the country and registration process for medical officers by Pakistan Medical & Dental Council (PMDC). As usual, the advice fell on deaf ears. Thanks to the British Raj, our state does have laws and system to inspect the hygiene of hotels' kitchens, but no system exists to oversee what is happening inside the private-sector operation theatres. The nursing and paramedic staff and support staff in these private hospitals are extremely low-paid. Sweepers, maids and even paramedics and nursing staff shamelessly surround the patient and his relatives to beg for tips invoking their mercy at the time of their distress. In order to maximise their profits, businessmen employ a minimum number of medical staff for emergency requirements. In just one last year, this has led to several cases of deaths in a couple of Lahore's hospitals allegedly due to the negligence of doctors or the absence of qualified staff at the time of emergency. Victims' families initially made some hue and cry, but no concrete action was taken against the culprits who are well-connected. Following the incidents of protests by patients' heirs, a number of private hospitals seem to have employed goons to browbeat and intimidate patients or their protesting relatives. Pakistani people spend billions of rupees every year to buy education and healthcare services from the private sector. The incomes of these businesses are fabulous. One can see certain school systems multiplying into hundreds of branches in the course of the last 10-15 years. Similarly, several small clinics have transformed into huge hospitals. The school owners and doctors can be seen living luxurious life. They own palatial bungalows, drive luxury cars, spend their summers in Europe or America, but pay little tax. They also resist imposition of sales tax on their businesses. No one can touch these neo-feudals of our times as they are either well-connected with the ruling elite or are part of it. As things stand today, private schools and hospitals enjoy immunity from accountability. It is erroneously assumed that market competition is a self-correcting mechanism, as ground realities and daily experiences defy this assumption. People should rise to protect their interests and campaign for enacting laws, rules and mechanisms to check the health and education businesses. The core team and volunteers had devoted sleepless nights to meticulously planning the stage, preparing the speakers and managing the logistics. In the end it all came together with charming emcees, intensive use of presentation technology and plenty of live reporting of the event thanks to a coterie of devoted bloggers and tweeters. The heart of the event was the sequence of speakers who had been carefully selected from across Pakistan to share their research, achievements and ideologies. Omer Sheikh and Jibran Rafique highlighted how they had taken the initiative to literally put Pakistan on the map through their efforts on Google Maps, thus enabling the planning of relief efforts in remote parts of the country. Dr. Asher Hassan proved to be a charismatic narrator with his tale of "burger" v "bun-kabab". He illustrated the disparity in society which has been the trigger behind his work to encourage a more egalitarian setup. There was a heart-warming filler in the form of a film depicting the flag of Pakistan through the domino pattern of scores of matchstick boxes. Saima Zaidi intrigued many with her work on symbols and icons and Dr. Tariq Rehman provided a compelling lesson on the origin of language. The first half drew to an end with a live performance of the sagar veena from the Sanjan Nagar Institute of Arts and Philosophy. The interval allowed the crowd to stretch its legs and be treated to some complimentary snacks. There were exhibits in the foyer and representation of sponsors such as Nestle, Bose, Wi-Tribe, Diamond Group, Pak Servers and FM 89 who had all done their bit to ensure that the event could be successfully executed. Returning audience members were thrilled to discover that the planning team had left a gift for each of them on their seats. The gift bag included a tree sapling, instructions on how to plant it, Natura Magazine by the WWF, a TEDxLahore music CD and a matchstick box from the aforementioned film. But the event really came to life in the second half where some of the speakers were able to titillate the audiences with their presentations. Dr. Usmani of GIKI stole the show with a live demonstration of how he simulates the damage from suicide bombs right off his laptop. The crowd was rolling over in fits of laughter given his sharp wit in dealing with such a sober subject and he was rightly given a standing ovation. Dr. Nadeem-ul-Haque of the Planning Commission of Pakistan was key to the implementation of the event and also served as one of the speakers. He made a strong case for revamping the planning process of Pakistan for a more equitable distribution of resources and aligning education with national needs. Mudassir Zia shared his dream of serving the underprivileged by explaining how he had channelled his earnings from tutoring to set up a free school for children lacking access to such quality facilities. Maajid Nawaz presented a touching narrative of his journey away from extremism by video conferencing with the audience from London. Zubair Bhatti showed it was possible to leverage innovation to fight corruption and Dr. Aamir Khan explained how he was using telemedicine to extend healthcare services to the most remote parts of the county. The event spanned nearly six hours but managed to captivate the audience. There were occasional technical glitches, some speakers were less absorbing than others, but overall there was a general feeling that the select audience was part of something special that only comes to Lahore once a year. Even as the event drew to a close, there was one final surprise for the guests in the shape of the Drum Circle, a band of drummers and table players who provided an encore as guests, speakers and organisers all mingled around the stage to appreciate each other's contributions. So where will two-year-old TEDxLahore go from here? The team is busy planning the uploading of all these videos online so everyone can share in the wealth, ideas and memories. TEDxLahore has cemented its status as a popular fixture on the local calendar and can only grow in popularity and prestige over the coming years. The remarkable aspect about the TedxLahore was the brilliant speaker line-up -- each speaker being a master in his/her respective field. One such speaker who unfolded the historical and social evolution of language in the sub-continent was Dr. Tariq Rehman, a Professor of Sociolinguistic History at the National Institute of Pakistan Studies, Quaid-i-Azam University Islamabad. Dr Rehman has over 90 articles in scholarly journals, nine books, four encyclopaedia articles, 22 contributions to various books and several book reviews to his credit. Dr. Rehman, undoubtedly, gave the talk of his life at TedxLahore! It was enlightening for many who had had a very purist attitude towards language change in present day Pakistan. I was scared of 'Urdish' and 'Urdi' -- the use of word Urdu in English and Hindi respectively. These are called code-switching and lexical substitution. This change scared me because, to me, it represented a loss of command over Urdu in its pure and true form. But for Dr. Rehman this attitude was alarming! He believed that language change must be accepted as a reality in all living languages. For him code-switching was actually a suggestive indicator of degree of bilingual competence rather than representing deviant behavior; quite contrary to what I had believed! The code-switching, borrowing and substitution we witness today in living Urdu is, according to him, part of the change that language has always witnessed since records exist. He gave examples of verses of Amir Khusru, where he had used Persian and Hindi-Urdu simultaneously and Moazzullah Khan Muhammad who had amalgamated Hindi-Urdu, Persian and Pushto in his poetry. The slides with these multi-lingual stanzas were a treat to watch! Dr. Rehman was right in saying that linguistic change, like any form of change, has been seen as a threat and over the years sacred languages have been guarded against it by ensuring that strict rules of spelling, syntax and pronunciation are devised so that they do not change at all. Thus, Sanskrit, Classical Greek, Latin and Arabic are no longer mother tongues though they continue to perform prestigious functions. But something that I took back from his talk was the fact that if we want Urdu to continue to be a living language we must accept change as part of the conditions of linguistic life. It may, of course, be regulated as far as written discourses are concerned but it needs not be suppressed altogether. I am no longer afraid of 'Urdi' and 'Urdish'. Armed bands of youngsters went on rampage setting ablaze vehicles, attacking shops and fuel stations and enforcing an unannounced strike in the city on the barrel of the gun. Most victims were ordinary citizens, who had no political affiliations, but targeted because of ethnic background. These victims were mostly daily-wage labourers, drivers, conductors and people doing small, odd jobs. Then there were those low-income group families, which were terrorised and some even saw their houses burnt because they lived in those parts where the other ethnic group remains in majority. The focused media coverage, chain SMS messages, the word of mouth, propaganda of the rival parties, rumours as well as exaggerated accounts of brutalities -- as often happens in such cases -- only added fuel to the fire, plunging the city in a state of uncertainty and bringing its trade, business and industrial activity to a grinding halt. The MQM had been quick to blame the Awami National Party (ANP) for the murder of its MPA. The ANP denied the charge and accused the MQM of fanning violence. Interior Minister Rehman Malik saw the outlawed Sipah-e-Sahaba Pakistan responsible for the murder of MQM's Shiite Muslim MPA. And amidst this overflow of information, claims and counter claims, Karachi continued to suffer. There was no sense of urgency seen on the part of the government to put an end to the lawlessness, while no political party took initiative to push the peace agenda and offer a healing touch. However, even the rivals agree that volatile Karachi needs immediate attention. Faisal Sabzwari, a senior MQM leader and a provincial minister, called the situation "delicate". "The MQM hierarchy has not reacted to this assassination. We want to maintain peace, despite provocations, attacks and burning the houses of our people," he said. "But the problem is that the people who suffer violence do not listen to the local leadership. They just react. We are trying to contain the situation." Shahi Syed, Sindh ANP chief, said that terrorism had never been part of his party's creed. "We know one thing, that among those dozens of people who died, there were only three or four ANP members. The rest were ordinary Pukhtoons." The MQM says its slain leader Haider was an easy target because of the thin security cover. Haider represented one of the most volatile areas of the city -- Orangi Town -- where he also served as the sector in-charge, a key position in MQM's structure. Ethnically diverse and divided Orangi remains one of the biggest slums of Karachi. Both the MQM and ANP are at loggerheads in parts of this town to get an upper hand. Both accuse one another of trying to bring demographic changes not just in parts of Orangi, but also at other places as their preparations for the future elections. ANP, which for the first time got two of its members elected to the provincial assembly from Karachi, says that this remain the main factor that antagonized the MQM. "The MQM sees ANP as a threat to its hegemony," Syed said. The MQM in its turn accuses ANP of patronising criminals and land grabbers. In this barrage of allegations, indeed, the story of the unfolding tragedy in Karachi is not an easy one to tell. It is a grim complex situation in which ethnic rivalry remains just one manifestation of a bigger problem that has many grey areas. All these killings and the state of lawlessness, that descend on the city so often, have a pattern that keeps repeating itself. Though there are short and long periods of tense calm as well, the causes of this problem remain unaddressed. They range from the presence of ethnic fault lines in the city to that of sectarian and religious divide as well as political rivalries. The state's inability to resolve vital issues ranging from the long lingering transport problem to that of providing water, power or even a decent sewerage system -- all play their part in intensifying conflicts in Karachi. A senior police official said requesting anonymity that the presence of the hard-core criminals in the ranks of major political parties remains one of the most troubling factors that emerged in recent years. "It acts as a catalyst in aggravating the situation." Police in majority of the cases remain unable to take action against criminals because of their political affiliations. "Politicisation of crime and criminalisation of politics -- this has now become the main problem," the official said. All the political parties do say they won't tolerate criminals in their ranks, but fail when it comes to match their words with action. No wonder, now for grabbing land, party flags are used in Karachi. The Sindh government's anti-encroachment drive crashed soon after takeoff in July because of the sharp differences within the allies of the ruling coalition. To add to the problem of ethnic polarisation is the fact that many al Qaeda and Taliban operatives have slipped into the city in the wake of the military operation in the northern areas. The MQM's stance that there has been growing "Talibanisation" in the city also proved a factor that led to sharpening the ethnic divide. ANP maintains that the issue of Taliban is being used to malign and target Pukhtoons in Karachi. However, while a vast majority of Pukhtoons have nothing to do with extremists, security officials say that Taliban and their associates use Karachi to generate funds. From kidnapping for ransom to robberies and drugs and arms smugglings to extortion, huge amount of money is being raised every month by extremists from Karachi, they said. In 2009 alone, media reports say that more than 160 militants were arrested in Karachi out of whom most were nabbed from Sohrab Goth and other Pukhtoon-dominated neighbourhoods. Police officials admit that even routine administrative issues have the potential to transform into ethnic confrontation. Decades of political expediency and compromises by the successive governments have made situation messier in Karachi. Rather than going for rule of the law, institutions have gone for ad hoc measures -- often becoming a party themselves by propping one group against the other. The result has proved disastrous as not just state authority took a blow, but it resulted in complete lawlessness. In every cycle of violence, the government avoided action against culprits and allowed wounds to fester. The city bounces back to normalcy not because of administrative measures, but by an inbuilt self-healing process, which offers only short-term relief. And between these extremes of temporary peace and bouts of violence, there are genuine fears of balkanisation of this city, which is awash with both illicit and licensed weapons. This remains a possibility because of state's inability to resolve its contradictions and establish its writ and rule of the law. The writing is very much on the wall, but rulers fail to read it. In this land of the pure, political expediency reigns supreme. The Civil Aviation Authority (CAA) is in a fix especially after allegations in the media by Pakistani Pilots' Association and some aviation experts that the authority is not following the prescribed safety measures and especially those related to the duties and functions of pilots and other flight crew. "The investigators are probing whether it was bad weather, pilot error or breakdown of some system in the aircraft that resulted in this tragic incident. They are also looking into whether there was any violation of safety rules, especially after media reports suggesting that the pilot was fatigued and not fit to fly the plane," said a member of a government-formed investigation commission on condition of anonymity. He said the CAA would also have to conduct a full-scale inquiry into any violation of relevant regulations such as the navigation order number 4 that sets the rest time period of pilots and duration of flights both inside the country and abroad. He said the pilot of Airblue Airbus, Captain Pervez Iqbal, 62, joined the private air company after his retirement from PIA in December 2008. "Pilots in other parts of the world do fly beyond the age of 60, but after thorough check-up by the regulatory authorities," the official said. The CAA not only serves as a regulatory body on behalf of the government, its functions include provision of services such as facilitation, air space management, air traffic control and fire fighting services. The CAA also ensures conformity to the standards laid down by the International Civil Aviation Organisation (ICAO) regarding flight safety, aircraft maintenance and medical fitness of pilots, air traffic controllers and engineers. One such set of regulations is known as "Air Navigation Order No 91.0012 or ANO 4" issued by the CAA in April this year. It relates to flight time, flight duty periods and rest periods for fatigue management for flight and cabin crew. Talking to TNS, Captain Suhail Baluch, President Pakistan Airline Pilots' Association (PALPA), described the order as illegal and disputed, alleging the order had been issued despite PALPA's strong opposition. "The pilots are the last line of defense in technical terms, therefore, they are governed by strict rules worldwide as passengers lives depend on them." However, he added that they were forced by the management to fly longer than the prescribed rules and their time period of rest was also reduced. The Pakistan Airline Pilots' Association has been voicing concern over the working conditions of pilots in PIA since long and it has also been highlighting the waivers given by CAA to PIA over operating flights against safety standards violating the authority's ANO 4 and PALPA-PIA working agreement. Globally, pilots negotiate with their managements some relaxations extending flight duties beyond prescribed rules for monetary benefits. Similarly, Pakistan Airline's pilots entered into an agreement with the management on November 17, 2009, after deliberations of more than one year. Captain Baluch said, "The pilots' salary slips inflate with more flying hours. But here we are asking for strict implementation of the agreement signed with us. The management continues to be cunningly irresponsible on flight duty times and sending short-rested pilots on flights and threaten them of dire consequences if they refuse." He said that just before the Airblue plane crash, they had pointed out the violation of air safety regulations by the Flight Operations Directorate of PIA as the management was compelling pilots to fly longer than internationally laid down rules, thus putting passengers' safety at risk. "Pilots are facing excessive flying hours because of their concerned management's tactics to save operational costs." Pakistan's Civil Aviation Authority, while refuting the allegations of violations of safety laws and regulations on its part, said it was too early to apportion blame as the investigation was underway. "The investigators are gathering all the details, documented evidences, wreckage samples, conversations and interviews of the witnesses and officials," said the CAA's Deputy Director General Riaz-ul-Haq. "The pilot of the ill-fated plane could not be held responsible for the crash at this stage as they don't know the exact reason," said Haq, ruling out any violation of safety rules on the part of the CAA. Another important issue that the air crash brought forth is that runway 12 of Islamabad Airport, for which the plane was heading, was not equipped with an Instrument Landing System (ILS) that provides precision guidance in bad weather conditions. A senior official of CAA desiring not to be named said although ILS was not mandatory according to laws and regulations, the modern navigation equipment on runway 12 would have prevented this accident. "Unfortunately, Islamabad Airport has modern navigation equipment on just one runway called 30," he said. Another unfortunate member was Syeda Rabab Zehra Naqvi, the Youth Information Minister. After completing her A'Levels from the prestigious Karachi Grammar School, she was pursuing a BSc in Economics and Finance as an external student of the London School of Economics and Political Science (LSE). Rabab's father Muhammad Murtaza said she was very happy before the journey. Describing her, Syed Shan-e-Hussain, a fellow youth parliamentarian, said "she was one of the best delegates of the youth Parliament and was an all-rounder." Noor, her roommate, said, "She used to stay up the whole night and work on her resolutions." She had planned to follow a career in national politics. The Youth Shadow Minister, Blilal Jamaee, was also among the crash victims. He was a 2nd Year student of Mass Communication at the University of Karachi. Bilal was a great debater and was not only popular among the students but also among the teachers. He wrote many stories for children's magazines and was adored for being able to manage so many things at a time in a way that no task was affected. Along with his energetic personality and excellent Urdu, Bilal was also known for his bright smile and humour. Owais bin Laiq, member of Youth Parliament Standing Committee on Information, also died in the crash. He was studying at the Institute of Business Administration (IBA) for a Bachelors degree in business administration. He had a keen interest in travelling and visited many countries in the past few years. 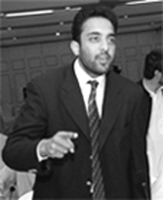 Owais won various contests, including the Samaa TV Documentry Competition. Talking of the strong personality of Owais, his friend Ahmed said, "Owais was a person you had to admire. He actually made things happen". Another member of the Youth Parliament Standing Committee on Information, Syed Arsalan Ahmed, 22, was also among the deceased. He completed his Matriculation with A-1 grade and his Intermediate in Pre-Engineering with an A grade. He then went on to complete his Bachelors in Textile Engineering from SFDAC University. "Ahmad was always fond of gathering people together. He believed in unity," said Raza, a fellow parliamentarian. Ahmed was a very good debater and won many medals while representing his university in national debating events on several occasions. Prem Chand, Youth Minister for Culture, Sports and Youth Affairs, was the sixth parliamentarian on the plane. He was studying for a Masters in Social Work at the University of Sindh. He was actively involved in social work and made numerous contributions in this regard. A prominent and active parliamentarian, Prem was loved even by the opposition. As he was a Hindu, a sad incident took place after his death. His coffin was marked with the word "Kafir", first with black, and then outlined with red to make it more prominent. No one knows who did this shameful act. The parliamentarians strongly condemned this. Although the untimely death of these passionate and hardworking members was a great shock for the Parliamentarians, they displayed maturity by attending the session despite the huge loss. They have already elected a new Prime Minister, Hassan Sajjad Naqvi, and aim to continue the sessions regularly. "Our biggest tribute to our deceased members is to carry out the very business of the House, the Youth Parliament, for which our six members were travelling and lost their lives," said the Deputy Speaker of the Youth Parliament Pakistan, Ayesha Bilal Bhatti, while initiating the proceedings of the session. "This session is dedicated to the memory of our six members."